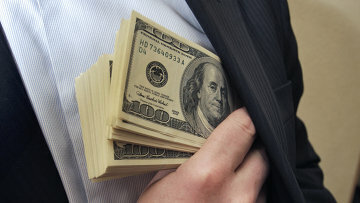 Amount of fines for corruption exceeds $8.5 million in 2017 | Russian Legal Information Agency (RAPSI). MOSCOW, August 18 (RAPSI) – Amount of fines imposed for corruption offences exceeded 500 million rubles ($8.5 million) in the first half of 2017, Russia’s Prosecutor General’s Office announced on Friday. About 4,000 offenders were held administratively liable by prosecutors’ orders. Over 200 companies were fined 394 million rubles ($6.6 million) for illegal reward on behalf of a legal entity. Amount of fines set for illegal employment of public officers reached 162 million rubles ($2.7 million), the statement reads. According to the Prosecutor General’s Office, the anti-corruption law envisages a special procedure for employment of people who earlier held public offices. The law also fixes certain restrictions during signing civil law and employment contracts with these persons.